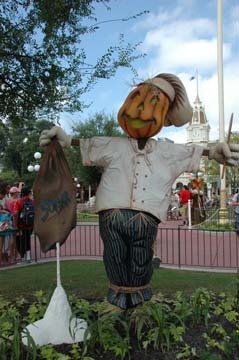 Halloween has come to Main Street in the Magic Kingdom in Walt Disney World. 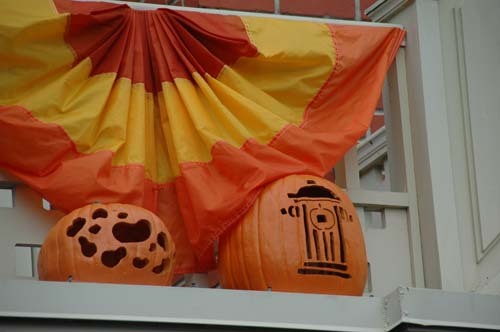 It is amazing how quickly they can decorate the park. 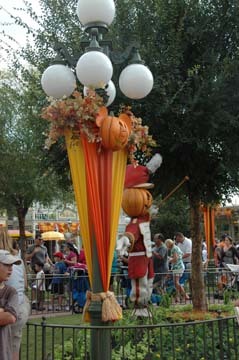 It was a hot sunny day here in Orlando but seeing the decorations made me long for cooler fall days. 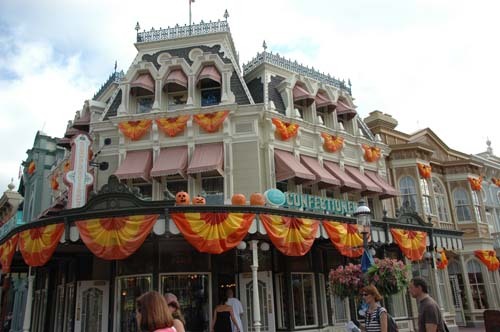 The minute you walk in you can see the decorations in Town Square. 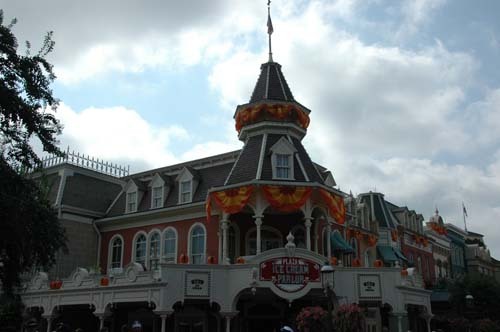 The flower beds have been replanted to match the Halloween theme. 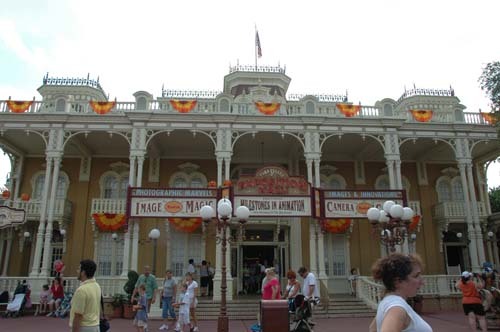 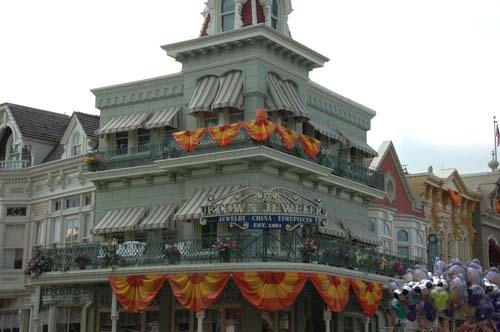 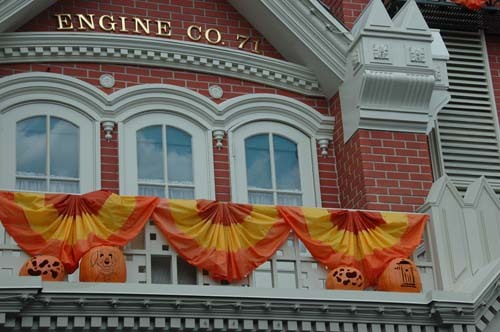 The buildings and lamp posts on Main Street have also been decorated. 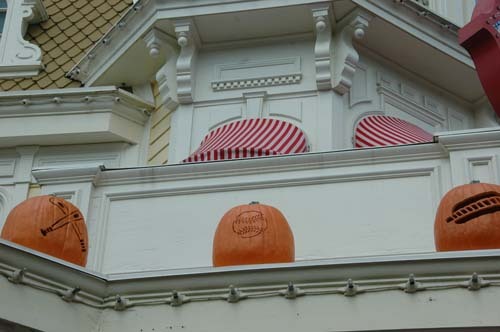 Take a few minutes to view the pumpkins on the ledges. 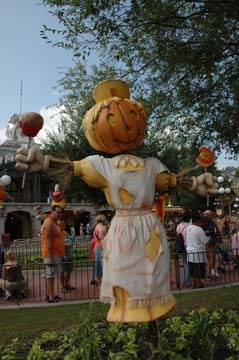 You will be fascinated to see all the different carved pumpkins. 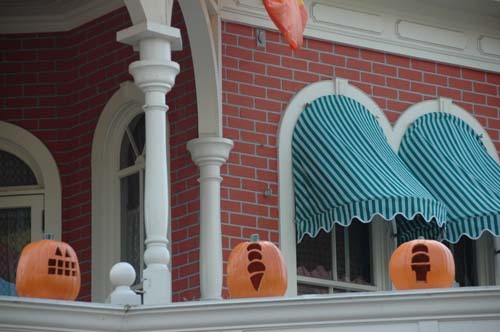 I found myself trying to guess what would be carved in the pumpkins for the different buildings. 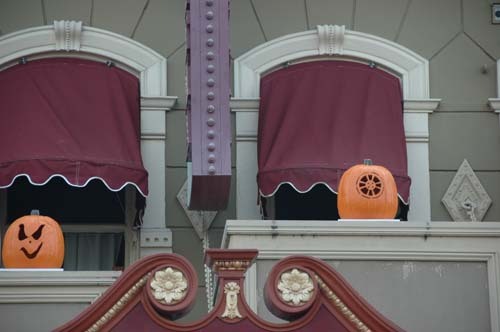 I could almost feel fall in the air. 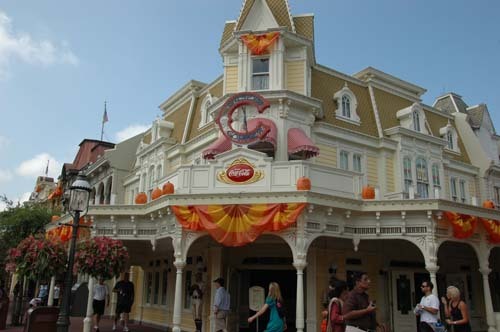 I can’t wait for the Mickey’s Not So Scary Halloween party to start. 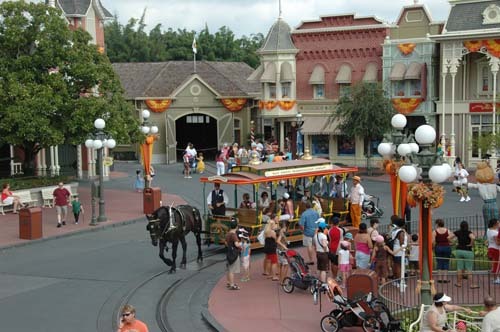 They really are fun and I love how the buildings are bathed in the colored lights. 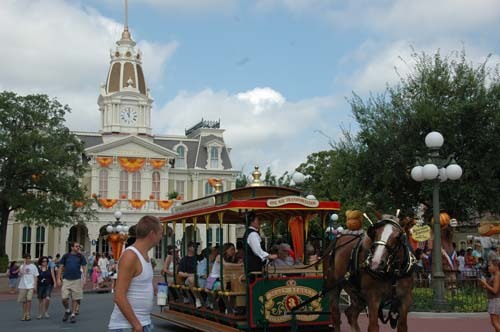 The parade is not to be missed. 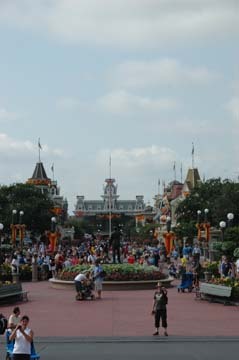 I don’t have to wait much longer. 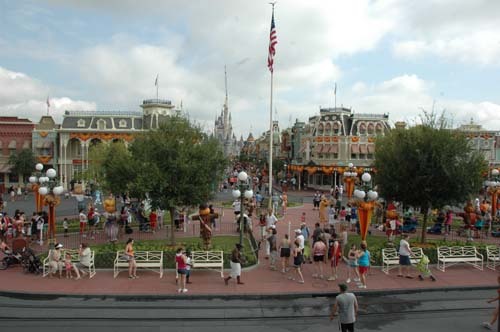 Michael Phelps, you’ve just won 8 gold medals at the 2008 Olympics, where are you going to next? 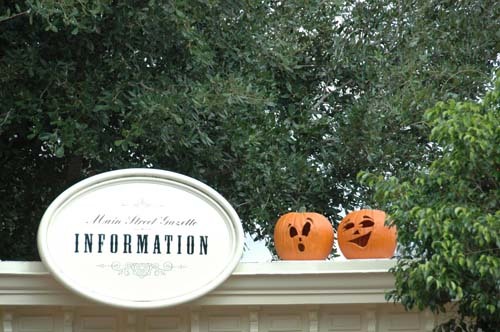 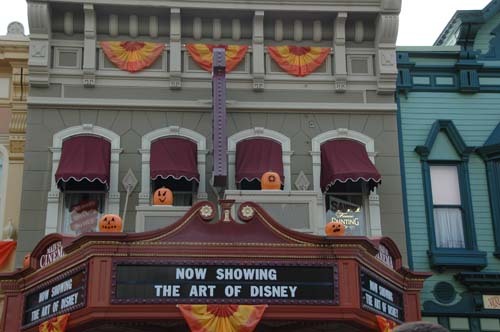 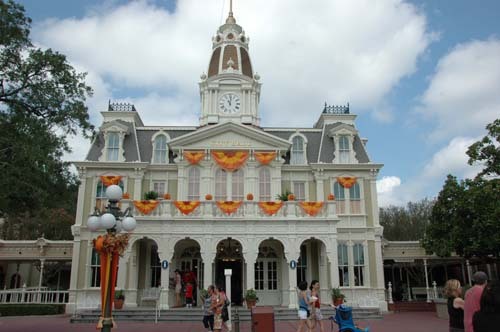 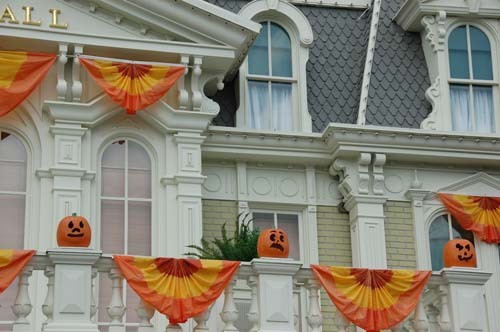 Video: Magic Kingdom’s Carved Pumpkins on Main Street, U.S.A.